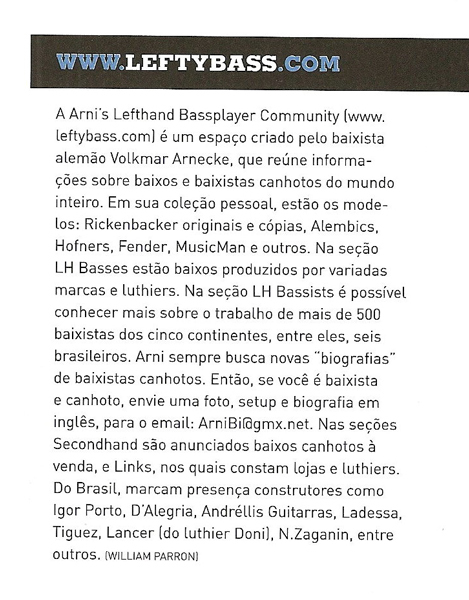 The Arnis Lefthand Bassplayer Community (www.leftybass.com) is a space created by the germany bassist, alemão Volkmar Arnecke, best known as Arni. 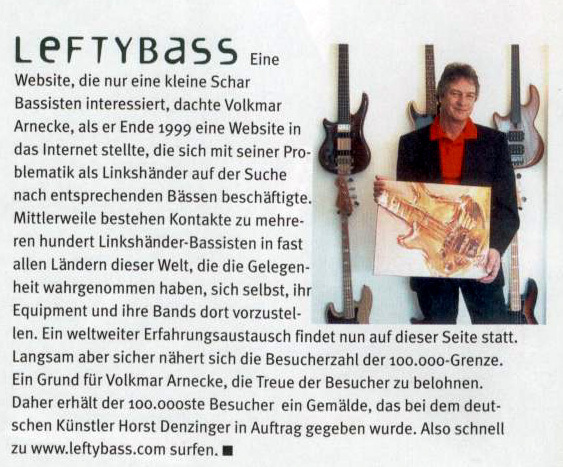 There, he gives information about basses and bassists from all over the world. 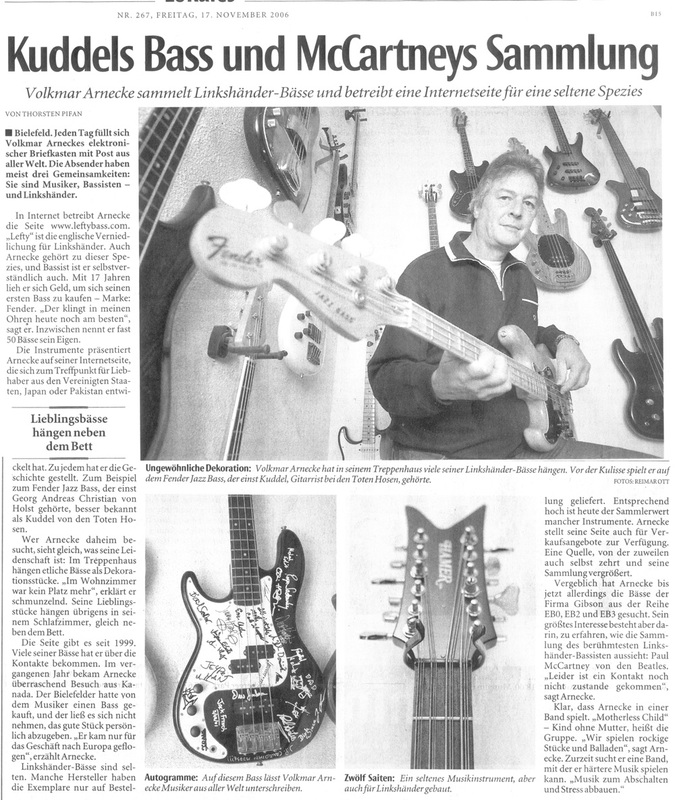 In addition to its enviable personal collection  when is included original and copies Rickenbakers models, Alembics, Hofners, Fender, MusicMan and another ones -, in the section LH Basses are reunited basses built by the more diverse brands and luthiers. 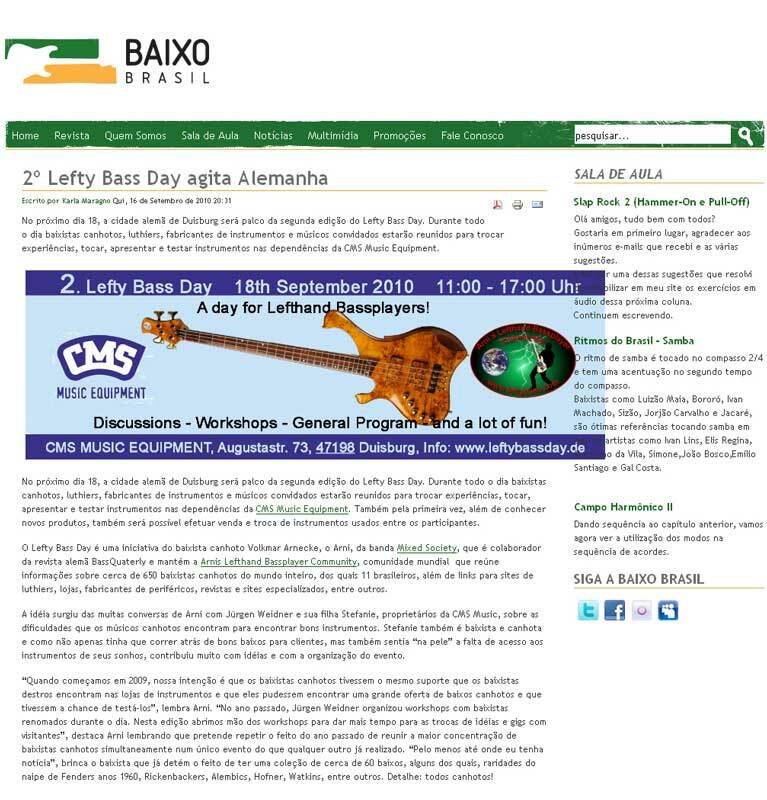 Just in the section LH Bassists is possible to know more about the work of mores then 500 bassists from the five continents (from Brazil, are only six). 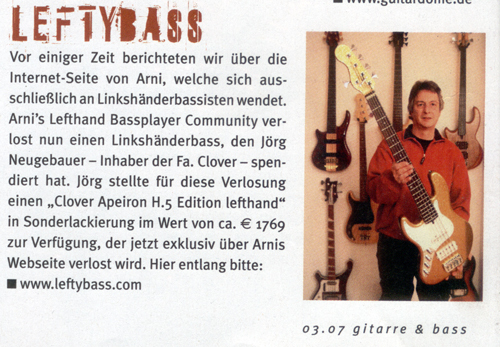 The best is thats Arni are always looking for newer lefty bassists biographies to include in the site. 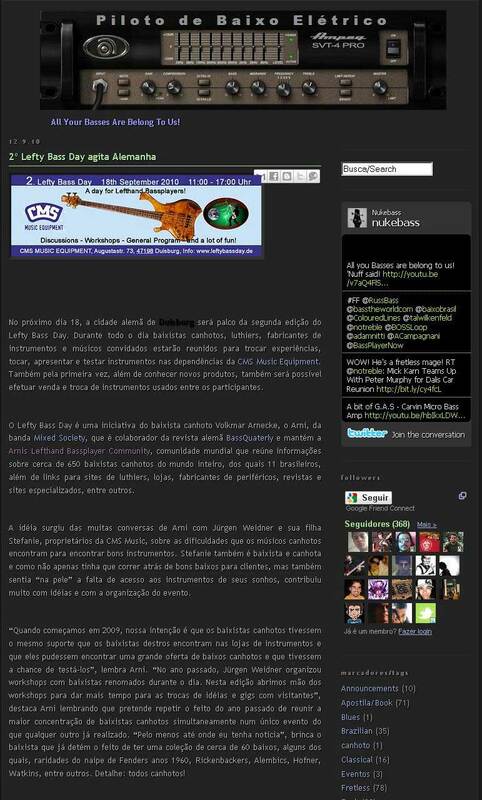 So, this is the hint: If you are bassist and lefty, send a photo, setup and biography (in English, besides the site is visited by persons from worldwide) to the e-mail: ArniBi@gmx.net. Even dont forget visiting the sections Second Hand, when lefties basses are announced to selling; and Links, when are listed magazines and luthiers. 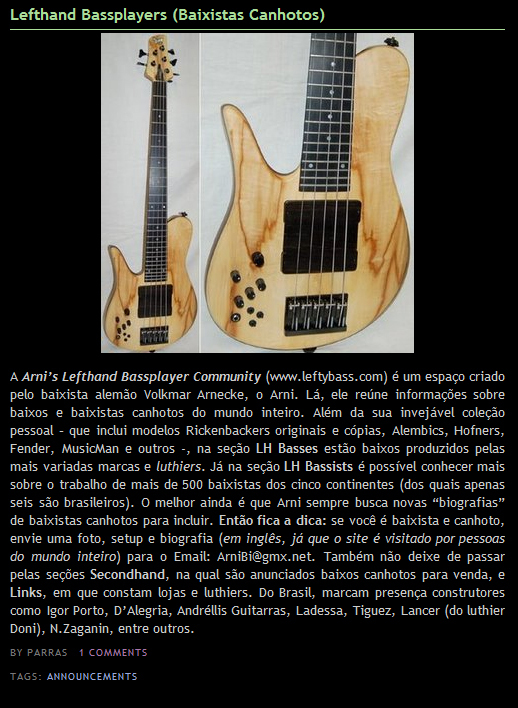 From Brazil, is the presence of builders as Igor Porto, DAlegria, Andréllis Guitarras, Ladessa, Tiguez, Lancer (of luthier Doni), N.Zaganin, among others. © Copyright & Design by Webmaster - Keine Weiterveröffentlichung der Fotos und der Songs ohne ausdrückliche Genehmigung!